THE word ‘navigation’ can strike terror into some anglers and conjures up images of miles of featureless water and continuous convoys of boats. Not so with Aylestone ‘Up and Down’ because although boat traffic does use this piece of water, there are not enough to cause anglers any undue stress, even during the course of a summer’s day. In winter few, if any, will be seen. In fact this length of water is bristling with features. There are twists and turns, trees and far bank shrubs and manicured gardens opposite. There are near side reeds and rushes, wide and narrow bits of the waterway, plus two locks and the Riverside Park immediately behind. In fact the visiting angler could be forgiven for forgetting they are actually fishing on a water flowing through the suburbs of Leicester and almost on top of the city itself. That said, industrial works and factories towards the bottom end of the venue, nearing the railway bridge, does kind of give the game away. With a touch of colour and extra flow this water fishes well and as long as you fish fine, when it’s cold and gin clear it fishes well. However, when the rains come in earnest and the river gets very coloured, it doesn’t! One thing is for sure – you will never know what species or size of fish will pull your string on the next run through. 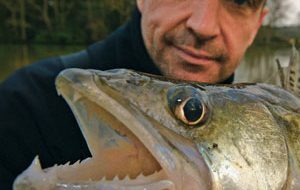 Anglers are often happily catching roach in the 4oz-6oz bracket and then, completely out of the blue, a tench, bream or chub over 4lb will muscle in and stretch both angler and tackle to its limits. Bonus fish can turn up anywhere in amongst roach, perch, gudgeon and there are lots of ‘stamp’ roach and big stripeys. There are some decent chub too, and these seem to congregate by the dog kennels at the railway bridge end. Bait choice should be linked to the prevailing conditions and season. In summer tench and good-sized bream are what many anglers target, with roach providing plenty of bites too. To fish a line for both the big and small fish, ensure hemp is a major player on your bait waiter. Caster, worm, sweetcorn and bread all hold sway when it comes to hook baits in summer. In winter you are less likely to catch the tench and bream but the roach can provide super sport. In clear water bread punch over liquidised bread reigns supreme with a separate chopped worm in caster line for the bonus fish. When there is colour in the water maggots and fluoro pinkies are required. Depending on the swim, flow and time of the year, virtually any method will work. 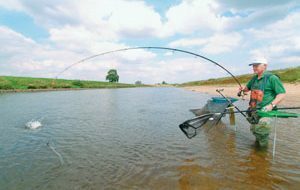 Although it’s not rocket science, a bit of watercraft is required to get the best out of any selected peg, and anglers fishing Aylestone should think of it as a mixture of river and canal fishing. Stick float, waggler, bomb, feeder, pole and even a small Method feeder all have their day and the most successful anglers tend to use a combination of tactics to get the very best out of the excellent fishing available. If you enjoy inner-city fishing with a difference with a diversity of swims in pleasant surroundings and without the supermarket trolleys and boats, Aylestone ‘Up and Down’ could be the venue for you. Give it try. You won’t be disappointed. Controlling Club: Wigston Angling Society. Contact: No contact at present following the sad death of Mick Holohan. Membership details: Club books can be obtained from local tackle dealers or bailiffs on the bank at a fixed price for the next two years of £16 for adults and £6.50 for juniors and concessions. Day tickets: Issued on the bank at £3. Matches: Wigston AS run a few and these are published in both local and national press. If in doubt, contact Mick Holohan. Restrictions: No bait restrictions, but take your litter home with you. 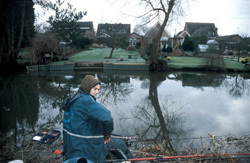 Nearby tackle shop: Angling Man, Melton Road, Leicester, tel: Stu Killen on 0116 266 5579. Angler-friendly pub: The William Wigston PH, Leicester Road, Wigston, where fishy tales are always included with a pint! Food: The ‘Blues Café’ on Cavendish Road, where a full English breakfast is scoffed by anglers at just £2.95, and match draws often take place amid much banter, especially when Ivan Marks comes in for a cuppa. How to get there: The A426 linking the centre of Leicester with Aylestone runs parallel to the Aylestone ‘Up and Down’ stretch, with Junction 21 of the M1 being the nearest motorway access. You need to take the A563 when coming off and this road crosses the canal and River Soar. There are several parking spots close to the canal/river, which you will easily find by turning down one of the side roads off the A426 in Aylestone itself. Don’t make the mistake that many anglers do in thinking bread punch is just an out-and-out winter bait because it can be equally effective during the summer months in clear water. To keep your hook baits fresh and moist, keep slices you are not using at the time in a plastic bag or, better still, cut off the crusts, divide slices into quarters and seal in individual plastic bags or cling film.